Since Acupuncture Today has chosen not to publish in their pages my response to Jake Paul Fratkin’s article “The Miracle Cure for Losing Weight.” I have decided to publish it here. I read with interest and dismay Jake Paul Fratkin’s article “The Miracle Cure for Losing Weight.” I studied and implemented the so-called Paleo diet for about 15 years during which I came to understand the major flaws in its theory and practices. I also was the only Chinese medical presenter at the first (2011) Ancestral Health Symposium on the relevance of Paleolithic nutrition to modern humans, so I feel a responsibility to comment in detail. While I agree that we have no miracle cure for weight loss, I disagree with the idea that a low starch Paleo diet based on meat, fish, and eggs with some fruits and vegetables accurately represents “the diet of our ancestors” and serves as a healthy approach to weight loss. 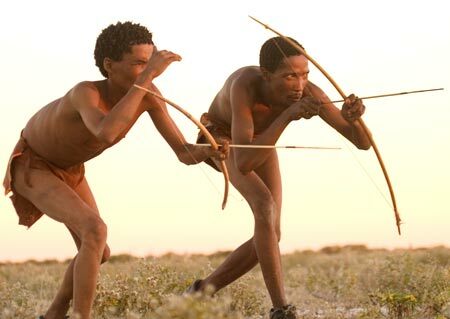 Consequently, any Paleolithic humans who engaged in nutritionally motivated hunting would have done so in order to increase their food energy intake in order to maintain or gain weight, not in order to achieve weight loss. Further, wild game flesh has substantially less fat and kcalories than the fattier animal flesh in modern supermarkets. In view of this, the "Paleo diet" theory that overfed sedentary modern humans who need to lose excess adipose should regularly eat the fatty flesh and eggs found in supermarkets because active, underfed, extremely lean prehistoric people who struggled to meet their basic kcaloric needs ate lean game flesh or eggs whenever possible lacks basic credibility. Fratkin identifies China and France as two cultures that “manage to stay thin.” Remarkably, neither of these cultures avoid all of the starchy “white” foods that Fratkin blames for obesity. However, while according to the UN OECD, the rate of obesity in France (9.4%) is less than a third of that in the U.S. (30.4%), their rate is still three times that of Japan or South Korea (each 3.2%). While the French eat substantial amounts of animal flesh and saturated fats (~40% of energy as fat 10), the Japanese diet in comparison supplies contains relatively little animal flesh, particularly from land animals, and supplies only 29% energy as fat  and about 60% energy as carbohydrate , mostly from white rice. Further, the French have had their current high animal product and fat intake for only a relatively short period of time, which confounds claims that their diet doesn't promote obesity or heart disease [ 31] because evidence suggests the effect does not appear on a population level until the population has maintained their high fat intake for at least 25 to 35 years. A murine study indicates that high-fat diets produce a gradual enhancement of fat mass over four generations , which would amount to at least 80 years for humans. “Under normal conditions, carbohydrate, protein, and alcohol are not converted to fat. Glycogen and protein stores are closely controlled, and increasing the intake of nonfat nutrients stimulates their oxidation rates proportionally. Thus, chronic imbalance between intake and oxidation of nonfat nutrients cannot lead to obesity." Generally, animal flesh, dairy, and eggs provide more fats and have a higher caloric density than fruits, vegetables, grains, or legumes. Fratkin advises avoidance of “Bread, pasta, cookies, cakes, pastries, cheese, yogurt, milk, ice cream, and all desserts.” Lean Chinese people eat steamed bread and pasta, but usually without adding much if any flesh, butter, cheese, mayo, or oils. Bread and pasta have little fat and low energy density when not loaded with fatty condiments or sauces. One study found that overweight young men assigned to eating 12 slices of white bread daily (without fatty toppings) lost 14 pounds in 8 weeks. The rest of the items on Fratkin's list ("...cookies, cakes, pastries, cheese, yogurt, milk, ice cream, and all desserts") supply 50 percent or more of their calories as fat or sugars. Someone wishing to lose body fat should eliminate those items from the diet, not because they are “white,” high in carbohydrates, or absent from Paleolithic diets, but because they are high in fat, refined sugars, and calories. Besides promoting obesity, diets high in animal products provide excessive cholesterol and saturated fats. Based on more than 50 years of accumulated evidence establishing the causal relationship between dietary lipids and cardiovascular disease, the Food and Nutrition Board of the National Academy of Sciences states that any incremental intake of cholesterol or saturated fatty acids increases coronary heart disease risk. Humans do not require dietary cholesterol or saturated fats. All flesh foods (meat, fish, poultry) contain similar amounts of cholesterol (wt/wt) and eggs have the largest cholesterol content of commonly consumed foods. Animal foods also constitute the primary dietary sources of saturated fatty acids. Prevention or reversal of cardiovascular disease requires total cholesterol below 150 mg/dL and LDL below 70 mg/dL , which constitute physiologically normal values in mammals . Levels above these constitute excess serum cholesterol. In rural Chinese counties where cardiovascular disease, cancer, and other diseases of affluence rarely occur, mean serum total cholesterol averages 127 mg/dL [25, 26]. Dietary animal protein, cholesterol and saturated fatty acid intake also show positive epidemiological links with diabetes, cancer, Parkinson’s disease, Alzheimer’s disease, and autoimmune diseases, we have identified plausible biological mechanisms by which dietary animal food intake may promote these diseases, and reduction or elimination of animal flesh, fat, and cholesterol have been shown in numerous clinical trials conducted over the course of 100 years to ameliorate or eliminate these diseases . Therefore, a meaty Paleo diet probably puts patients at an increased risk of cardiovascular, metabolic, neurological, and autoimmune diseases. Recently, a panel of experts ranked the Paleo diet as the least desirable approach to general health or weight loss due to its nutritional imbalances and a lack of evidence for safety or efficacy. John McDougall, M.D., a leader in lifestyle and nutritional medicine with more than four decades of experience using plant-based diets to reverse obesity and chronic disease, has written a thorough critique of the Paleo diet, citing evidence that prehistoric human diets included starchy foods. In fact, human saliva contains more of the starch-digesting enzyme amylase than any other species, clearly indicating that we have specific genetic adaptation to a starch-rich diet. The Paleo diet lacks evidence of safety or efficacy and may put patients at well-known risk. 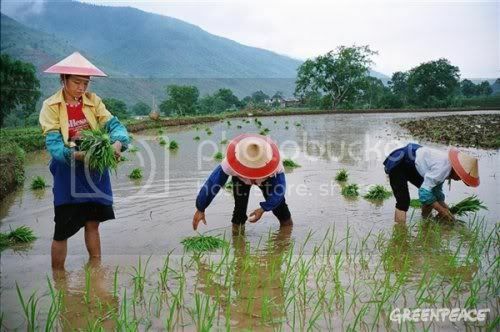 Moreover, it contradicts the principles of traditional Asian nutrition and ethics (humanity and nonviolence). Ironically, more than 100 years of biomedical nutrition research indicates that plant-based diets similar to traditional rural Asian diets prevent and with modification may reverse cardiovascular, metabolic, and immune system diseases. The eminent Chinese physician Sun Si Miao stated that, whenever applicable, the skilled doctor should advise dietary changes before implementing herbs or acupuncture. However, scientifically incorrect ideas about human nutrition limit our clinical abilities and endanger our patients. Don Matesz, M.A., M.S., Dipl. OM, L.Ac. 2 Speth JD. The Paleoanthropology and Archaeology of Big-Game Hunting. Springer, New York, 2010. 3 Hawkes K. Hunting and the Evolution of Egalitarian Societies: Lessons from the Hadza. In: Diehl, M. W. (Ed. ), Hierarchies in Action: Cui Bono? Occasional Paper 27. Southern Illinois University, Center for Archaeological Investigations, Carbondale, IL. 59–83. 65. 5 Midzi N, Mtapuri-Zinyowera S, Mapingure MP, et al. Consequences of polyparasitism on anaemia among primary school children in Zimbabwe. Acta Trop. 2010 Jul-Aug;115(1-2):103-11. PMID: 20175980. 7 Stanley RG, Jackson CL, Griffiths K, Doenhoff MJ. Effects of Schistosoma mansoni worms and eggs on circulating cholesterol and liver lipids in mice. Atherosclerosis 2009 Nov;207(1):131-8. PMID: 19464685. 9 Posted on YouTube at http://www.youtube.com/watch?v=PIB6C5cy-KQ, and slides available at http://www.slideshare.net/ancestralhealth/ahs-slidesdon-matesz. 14 Campbell TC. The China Study. Benbella Books, 2006. 18 Wang Y, Bevdoun MA. Meat consumption is associated with obesity and central obesity among US adults. Int J Obes (Lond). 2009 June; 33(6): 621–628. http://www.ncbi.nlm.nih.gov/pmc/articles/PMC2697260/. 19 Hellerstein MK. No common energy currency: de novo lipogenesis as the road less traveled.. Am J Clin Nutr 2001 Dec;74(6):707-708. 21 Mickelsen O, et al. Effects of a high fiber bread diet on weight loss in college-age males. AJCN (1979) 32:1703-1709. 22 Food and Nutrition Board (FNB). Dietary Reference Intakes for Energy, Carbohydrate, Fiber, Fat, Fatty Acids, Cholesterol, Protein, and Amino Acids (Macronutrients) (2005). National Academy of Sciences Press. Pages 422 and 542. 27 Campbell TC. The China Study. Benbella Books, 2006. 28 US News. http://health.usnews.com/best-diet/best-overall-diets . Your murine reference (32) used high-PUFA vegetable fat with an omega 6:3 ratio of 28. "The ω6HFD contained a 3.7-fold higher amount of LA (7.9 g per 100 g versus 2.2 g per 100 g) but the same amount of LNA (0.24–0.26 g/100 g) as the chow diet." Further, the number of animals in the study was so small (e.g. n=3) that the results, though plausible for linoleic acid, lacked strength. You make a good point about why paleolithic man and modern hunter-gatherers eat what they eat. Though perhaps focusing on marginalised hunter-gatherers such as the Hadza, whose hunting grounds have probably been depleted in recent centuries by outside influences, rather than those on more unspoilt lands such as the Andamanese, gives a skewed view of fat consumption. IS THERE AN ASYMPTOTIC LIMIT FOR LDL AT WHICH CARDIOVASCULAR EVENT RATES APPROXIMATE ZERO? The LDL level at which cardiovascular event rate may approach ZERO is estimated to be ~ 60 mg/dl for primary prevention (no previous clinical coronary disease), and 30 mg/dl for secondary prevention previous clinical coronary disease). Question - without using statin drugs how does one get their LDL to between 30-60mg/dL?? Excellent article, Don. I really enjoyed reading this (Sorry for the double post, this was meant as a comment for your latest post, but I accidently posted it under an older article). HealthLongevity has already replied to your nonsense mummy paper in detail, see his comment section. My own LDL-C is 1.8mmol/l (70mg/dl) and TC 3.2mmol/l. I am bit more lavish with my approach compared to my friend, but I am quite satisfied with my digits. Those with heterozygot PCSKY-9 knock-out mutation have their life-long LDL around 1.3-1.8mmol/l and not a single case of atherosclerosis has been yet identified. Doctors nearly unanimously agree that eating foods loaded with saturated fats — such as butter, cream and pork in all its wondrous manifestations — can cause heart disease, obesity and diabetes. Conversely, foods with unsaturated fats, such as olives and salmon, can have the opposite effect. If the researchers are right — that is, if their work on mice proves true in humans — then they envision a new class of dietary supplements or pharmaceutical drugs to reverse the effects of a high-fat diet. Saturated fats tend to be solid at room temperature. They contain fatty acids that are saturated, chemically speaking, with hydrogen atoms; the carbon atoms are bonded to as many hydrogen atoms as possible. Unsaturated fats contain fatty acids with a lower ratio of carbon to hydrogen. For over a decade researchers have known that saturated fats somehow activate enzymes associated with developing insulin resistance (a precursor to diabetes) and atherosclerosis, or clogged arteries. Unsaturated fats can block these enzymes within our cells. The enzymes, called Jun kinases, work at a subcellular level. Building on this knowledge, a UCSD team led by Michael Karin speculated that something in cell membranes must be able to differentiate between saturated and unsaturated fats, activating or deactivating Jun kinases. In their new study, the team ultimately identified yet another enzyme, called c-Src, which resides within a cell membrane. So, saturated fats apparently smother and push c-Src deeper into the cell membrane, to regions that are more rigid. The c-Src accumulates here and turns into an activated form that then triggers Jun kinases to start working — setting into motion the chemical reactions behind insulin resistance and circulatory disease. Unsaturated fats, in contrast, block c-Src aggregation and thus prevent the whole cascade of troubling chemical signaling. Saturated fatty acids (FA) exert adverse health effects and are more likely to cause insulin resistanceand type 2 diabetes than unsaturated FA, some of which exert protective and beneﬁcial effects. Saturated FA, but not unsaturated FA, activate Jun N-terminal kinase (JNK), which has been linked to obesity and insulin resistance in mice and humans. However, it is unknown how saturated and unsaturated FA are discriminated. We now demonstrate that saturated FA activate JNK and inhibit insulin signaling through c-Src activation. FA alter the membrane distribution of c-Src, causing it to partition into intracellular membrane subdomains, where it likely becomes activated. Conversely, unsaturated FA with known beneﬁcial effects on glucose metabolism prevent c-Src membrane partitioning and activation, which are dependent on its myristoylation, and block JNK activation. Consumption of a diabetogenic highfat diet causes the partitioning and activation of c-Src within detergent insoluble membrane subdomains of murine adipocytes. Are saturated fats needed in the diet to build "healthy cell walls"? Somebody said this to me. I though humans priduced saturated fats on their own? LOL at the crap people believe. First, humans like other animals have cell membranes, not cell walls; cell walls are in plants,bacteria, fungi, and algae, but not animals. Second, you have it correct, of course, humans can produce all the saturated fats they need to build cell membranes. Humans have no dietary requirement for saturated fats at all.